If your calves are a sore spot with you, too large or too bulky, there is a solution to that. In your interest of reducing calf size and improving shape, there are several calf reduction procedures available. Our doctors are proficient in each calf reduction technique, allowing them to help any patient achieve the look they want. The Calf Reduction Center is located in the heart of cosmetic excellence—Beverly Hills. 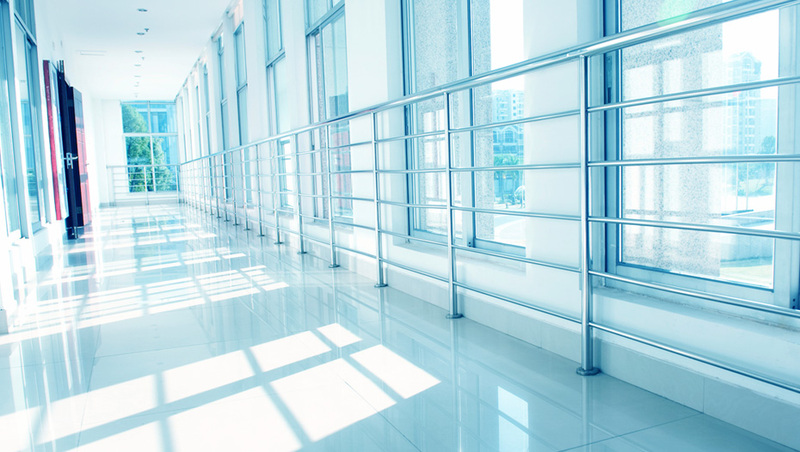 The facility is designed to promote healing and betterment. Additionally, our entire team is united towards your happiness and well-being. Following surgery, our patients are happy to show off their wonderful results. View our before and after gallery of previous patients to get you an idea of what you can achieve with calf reduction surgery here at the Calf Reduction Center. Calf reduction surgery is a highly popular procedure that can dramatically improve the size and shape of calves. While many cosmetic contouring procedures focus on the elimination of fatty tissue, calf reduction surgery addresses bulky calf muscles that contribute to a short, stout appearance. With rapid results and a minimal recovery process, it is the perfect option for those seeking thin, shapely calves that look proportionate to the rest of their body. 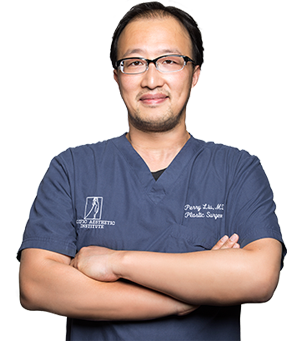 Dr. Perry Liu is the Medical Director here at the Calf Reduction Center. As a veteran of cosmetic surgery, Dr. Perry Liu believes there is no greater accomplishment than making his patients look great without others noticing they had surgery. He creates subtle changes that produce dramatic yet natural results. In an effort to deliver the best calf reduction surgery currently available, Dr. Liu performs his work with grace and refinement. BOTOX is most commonly known for its use as a facial wrinkle reducer. Our doctors uses BOTOX to reduce bulk and muscle definition in the calves, sculpting and defining them into a desirable, slender form. BOTOX works by temporarily reducing muscle function in the area where it is applied. When used in the calf, it causes the muscles to shrink through lack of use, producing a smooth, slender contour. This minimally invasive procedure can be performed under local or general anesthesia. Our doctor use radiofrequency to shrink the calf muscles while eliminating nerve function in the calf. Without nerve function, the calf muscle will shrink and thin out evenly. With a recovery period of only 1-2 days and a record of great results, this one of the most popular calf reduction procedures. When muscles are not used, they atrophy, meaning they shrink and waste away because they are not being stimulated. When it comes to calf reduction, our doctors can use this to their advantage. Selective neurectomy is a popular form of calf reduction that uses controlled atrophy to bring calf size down, giving it a slender and smooth appearance. Click to learn more. For patients who desire a more dramatic and immediate result, partial muscle removal is a direct method to shape the calf into the contours you want. Through a small incision, our doctors can actually remove part of the calf muscle while retaining the overall function of the calf. The results that are seen at once, and the recovery period is mild, lasting only 3-7 days. What is a Calf Reduction? Who wouldn’t love to flaunt slim legs and toned calves? Most women would love to have slender legs that let them wear the trendiest boots in town. Muscular hypertrophy and fat deposits can make the calves look wide and unsightly. Despite weight loss, dieting or exercise, it can be challenging to reduce the width of the calves. There could be many reasons behind wide calves including a genetic pattern of fat deposit in the calves, water retention, cellulite, muscular hypertrophy or a sedentary lifestyle. Both surgical and non-surgical options are available to correct the width of the calves. Botox: Doctors carefully choose the muscles that are relaxed in the calves. The gastrocnemius muscle is usually the one which is responsible for the bulky and muscular look. The purpose of Botox is to render these muscles inactive which then leads to their shrinking ultimately resulting in a more slender appearance of the calves. With Botox, there is no downtime and people who receive the treatment can resume their normal day-to-day functions. Radiofrequency calf reduction: This is a minimally invasive procedure that uses radiofrequency to eliminate bulk and reduce the calf width. At the Calf Reduction Center, we use ThermiRF which is an advanced device that pinpoints the nerves’ location that needs to be addressed in the calves. Our doctors achieve precise bulk reduction while the calf functions are fully preserved. Partial calf reduction: The two muscles responsible primarily for the bulk of the calf are the gastrocnemius muscles. Partial calf resection carried out under a general anesthetic, consists of partial removal of the medial gastrocnemius muscle and if required, the soleus and the lateral gastrocnemius. Doctors at the Calf Reduction Center can precisely control the outcome of this surgical procedure to give the desired definition. Up to 7 centimeters can be reduced in calf width through this safe procedure. Selective neurectomy: There are three muscles in the calf namely, the lateral gastrocnemius, the medial gastrocnemius, and soleus. At the Calf Reduction Center, our specialists select one of the three muscles to reduce its activity. When the muscle is not active, it gradually loses its bulk and shrinks in size. Selective neurectomy calls for in-depth knowledge of the technique and anatomy to precisely achieve the desired definition in the legs which our doctors at Calf Reduction Center have specialized in. Carried out under local anesthesia, the doctors scan the nerves to see which ones need to be clipped. The results are gradual and up to 3 centimeters of reduction in the calf width can be seen. Calf liposuction: If there are excess fat deposits in the calf, liposuction is effective in removing them. The experts at the Calf Reduction Center make small incisions under a local anesthetic through which a cannula is inserted. The fat is then broken down into pieces and liquefied which is sucked out through the cannula. Consulting Dr. Perry Liu, the Medical Director and one of the leading plastic surgeons Los Angeles has on offer, is the best way to understand which option is best suited for you.